“The faster you do it, the faster you get results!” Megan shows us the self-talk of a top earner around excuses. And also, pro tips on building internationally in your own backyard. 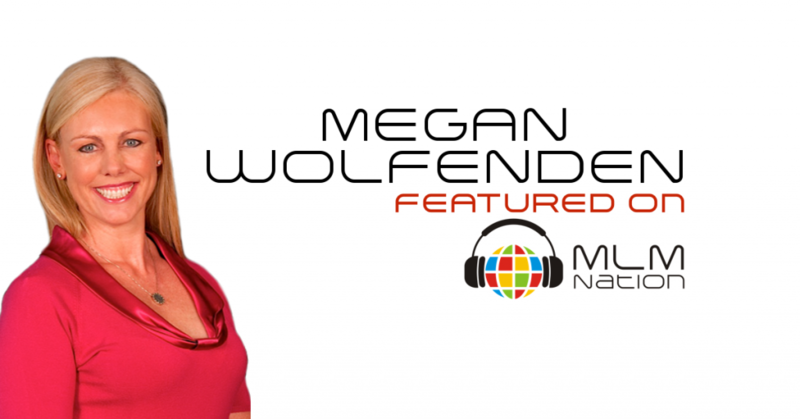 Megan Wolfenden is originally from Sydney, Australia and relocated to America to start a career in banking and finance. While in the USA she also started to build an investment portfolio of real estate and other assets such as gas, oil and gold during the internet bust in the early 2000s. And that’s when she discovered network marketing. Thanks to MLM, Megan was able to almost immediately retire from the workforce. She now has built a million dollar MLM business that operates in over 23 countries. Today, Megan is an award-winning businesswoman who travels the world teaching people how to build their own business and reach their full potential. She is also an Amazon #1 Best Selling Author of the book “Extraordinary You – A Woman’s Guide to Having it All”.